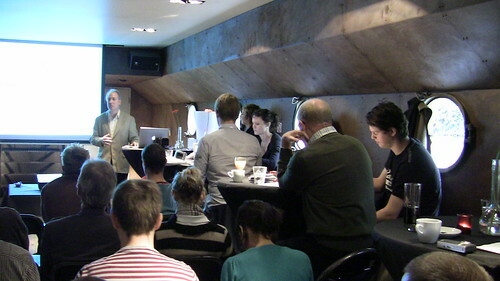 Last Sunday, citizen journalism guru Dan Gillmor was in Belgium for the Blogboat 1.0 event organized by Chips vzw. In the afternoon there was a discussion with bloggers, citizen journalists and media professionals. I made a some pictures and videos which you may find interesting. 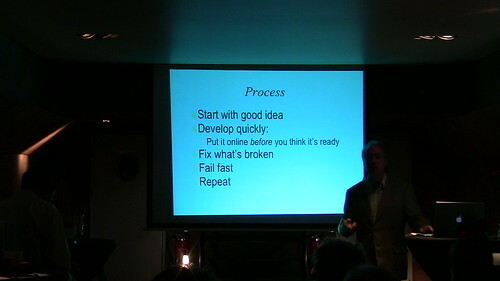 Gillmor explained how new initiatives can be started on the internet without big investments or costs, e.g. Dopplr.com where he is an investor. He also talked about anonymity on the internet and defended Sarah Palin against anonymous attacks, see my earlier blogpost. 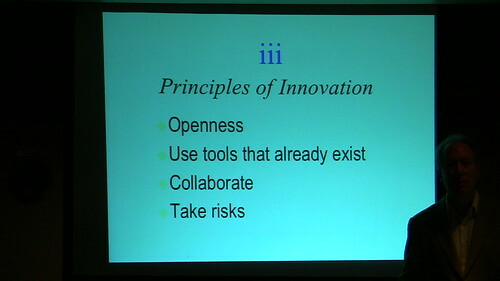 After Gillmor's presentation, an interesting discussion started. Clo Willaerts from Sanoma said that the really influential players on the internet are not the bloggers, but the "embedded publishers", i.e. corporations, organizations, associations that publish their news directly on the internet without the intervention of newspapers, magazines or publishing companies. And Ike Picone from VUB had in interesting vision on who the "citizen journalists" are: not only the bloggers and the internet publishers, but the commenters and members of social networks like Facebook and Twitter too. He calls them "prosumers". An interesting discussion. I support the points made by Evi Werkers and Ike Picone. Clo Willaerts may be right on the embedded publishers, but to be honest to me as an ordinary 'citizen' the Iranian Twitter Revolution f.e. didn't come as a big surprise. I wrote my Master's Thesis on Iranian Foreign Policy from an 'inside' perspective at the University of Freiburg in Germany. We have a cooperation with Isfahan, which of course brought me a lot of real (vs. virtual) contacts. The other valuable information I received came from a lot of useful "insider" communication at studivz.de, facebook, roozonline etc. Only the cooperation between social networkers, bloggers and a "rejuvenated" traditional media can produce good quality news. If not, it is not us who will bury them, but their parochial sheep-alike way of behaving and thinking. prosumptive or presumptive? maybe a hairpin could also do the job. Joe, you are not being prosumptive by submitting such a comment. Evi Werkers of K.U.Leuven needs a pair of scissors.